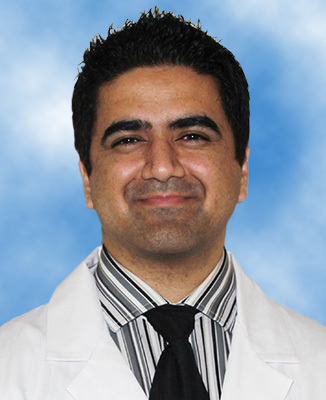 Salman Osman, MD specializes in oncology and hematology at UHC. Dr. Osman studied medicine at King Edward Medical College, Lahore, Pakistan, where he received his MBBS degree in a six-year program. 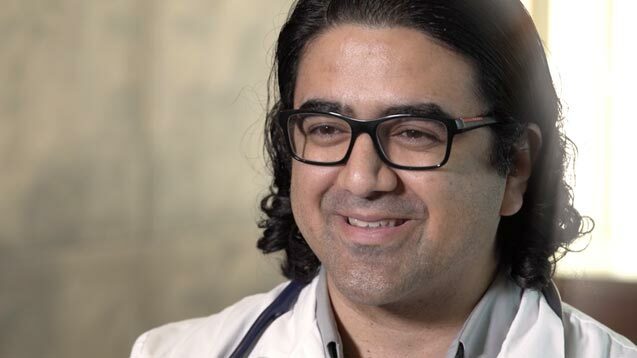 Dr. Osman completed his post graduate education at West Virginia University Hospitals where he has most recently been Chief Fellow in Hematology and Oncology. He earned a number of academic achievements, including a nomination as the “best teaching resident” at WVU Hospitals and Hematology and Oncology Fellow of the Year at WVU. He has taken clinical electives in general surgery, general medicine, cardiac surgery, and cardiology, including studying at the Mayo Clinic, Rochester, Minn.
Dr. Osman has also written a number of professional papers and abstracts which have been published in professional journals. For appointments, please call 681-342-1842. Dr. Osman’s office is located at the Cecil B. Highland, Jr. & Barbara B. Highland Cancer Center at UHC, 327 Medical Park Drive.